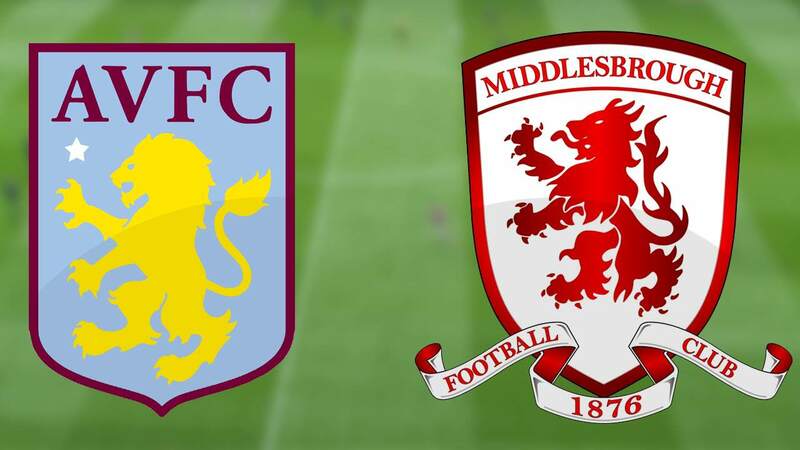 Browse: Home » Villa – Boro; Now this is a really big game! Our last three games have all been very tough propositions, yet we coped with them all really well, scoring eight goals and only conceding one (a somewhat flukey one, too). I still can’t get my head around how much better we’ve been with Grealish back in the side. But that aside, I mentioned previously that some teams currently in the top six might falter. Indeed, it seems Derby are already in their annual free fall act as we speak, having taken only nine points from their last eight games. As for Villa’s last eight games, we’ve taken twelve points. But when you consider we’ve taken nine in the last three, it shows how bad our previous form was (three points in the previous five games). No wonder we all thought we hadn’t got a chance of promotion. Which leads me on to Middlesbrough, who have taken eleven points in eight games, but importantly, have lost their last two games (at home) albeit to good opposition in Preston and Brentford. Interestingly, they have quite a poor record at home, but have a very decent record away. Which makes sense, with the way Pulis sets his teams up to not concede, while trying to hit on the break. Which, while dead boring is obviously quite successful, because they have by far the meanest defence in the league having conceded only 28 goals. Squad news and on our part, nothing has changed. El Ghazi is fit, after he went off with an arm problem. Tuanzebe and Lansbury should be available for the Blackburn game and Chester and Hutton are doing light training. As for Boro, the big news is that defender Dani Ayala has successfully appealed his sending off on Wednesday and will be available. Otherwise, I’m not seeing much else about them, but Pulis has suggested he might “freshen things up”. I really don’t see that Dean Smith will change anything for this game. John McGinn quickly re-staked his claim for a place and has to start. It’s tempting to think that El Ghazi might be replaced by Green, but I think the manager will be prepared to give the Dutchman another game, as he definitely sees that he does have some threat. An unchanged team then, with similar subs to the other night. It’s actually a very nice position for Smith to be in, as the team is pretty much picking itself. It seems to me our biggest problem is going to be unlocking Boro’s defence. We definitely have the tools to do it, but we have to be very wary that they don’t catch us on the break, although fortunately that’s not quite the problem it was earlier in the season. I don’t see many goals and strongly think the first goal could easily prove the winner. Let’s hope it’s us that gets it and condemns Boro to their third consecutive defeat, which could easily send them on their way to the “wheels falling off”. Villa to win 1-0 in a very cagey game. Well done again to Whelan – always been a massive scapegoat for the ‘fans’, always unfairly. He’s seen off Jedi and Thor for the defensive midfield spot and is now getting plenty of plaudits – not easy for an ‘unfashionable’ player. Well done! Anyone know what’s happened to Hourihane? Rested? Injured? think his wife gave birth today. great performance by us again, four on the bounce and top six. i am gutted as forest let me down on coupon. international break maybe comes at the wrong time for us. but when we return its then the sprint to the finish. in the game i thought we dominated start to finish. agree with bill whelen mom just because he does the stuff that most don’t see. but that is so important for the team. mcginn grealish el ghazi elmo and taylor not to forget the two centre backs all came close to mom themselves. we have improved so much in all the important areas. steer also a big mention, he had nothing to do for most the match and when he was call upon he managed to still be awake which was a challenge in itself. finally big cheers to smith and his back-room team. they have got the team well drilled now.